Found 2 file extension associations related to Stronghold Crusader and 2 file formats developed specifically for use with Stronghold Crusader. Strongold Crusader is the sequel to Stronghold computer game. It was developed by Firefly Studios and released in 2002. Stronghold is a series of castle-building RTS games. 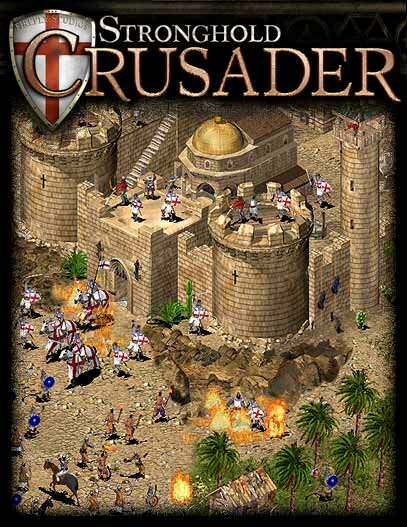 Crusader is set in middle east during the 2nd crusade. Lead a determined group of crusaders, forged by centuries of barbaric conflicts, or wage war against a powerful foreign invader amidst the haze of the desert heat. Relive the heroic battles of the historic Crusades. Experience ruthless medieval combat in hostile lands. Battle fierce rival lords during intense Crusader Skirmish play. Master the tactics of the desert. Take up the challenge of the Skirmish trail. Fight online with up to 8 friends. If you need more information please contact the developers of Stronghold Crusader (Firefly Studios Ltd.), or check out their product website.